Until Further notice we will not be posting a FULL Shaw’s deals and coupon matchups list every week. We will try to post only the top Shaw’s deals when we can. Wow! Hot pockets only $0.91 Cents at Shaw’s though 8/23/18!!! Hot Pockets are on sale this week for $1.49 when you buy 6 or more. Each time you buy 6, the Catalina machine will print a coupon for $2.00 off your next order and a coupon for $1.50 off 6 Hot pockets (YMMV). Both Catalina’s printed for me today on 4 transactions of 6 Hot Pockets. = $5.44 or $0.91 each! At this point, you can continue to roll the 2 Catalina coupons that print with each transaction to get the $0.91 each price on future transactions. Buy 1 Frosted Flakes Cereal on sale thru 3/23 for $1.50 each. 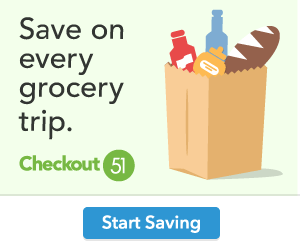 Shaw’s Top Deals 02/24 – 3/2 | FREE Hershey’s Pudding, FREE Bush’s Beans, $0.52 Del Monte Canned Tomatoes, and More!! !